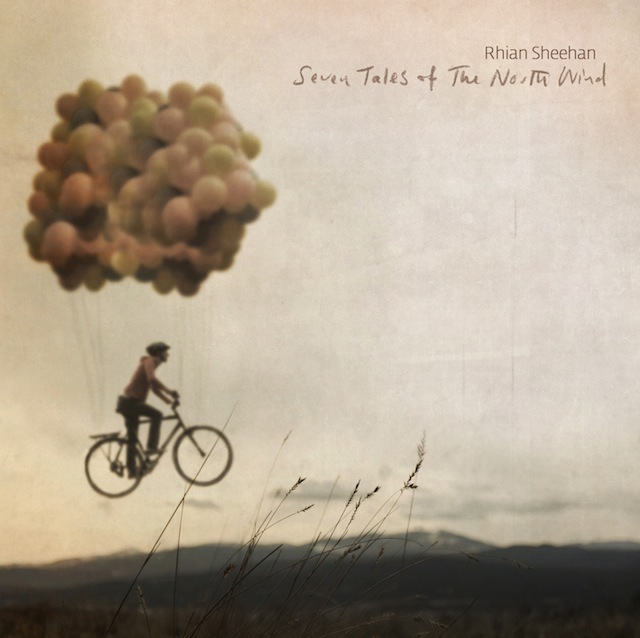 Another album I bought with my birthday money was 'Seven Tales of the North Wind' by Rhian Sheehan. I purchased it on the recommendation of Simon Cutmore who had heard Sheehan's work at the National Space Centre's We Are Astronomers exhibit (which is, according to wikipedia, a 360° Full Dome Film narrated by Doctor Who's David Tennant). 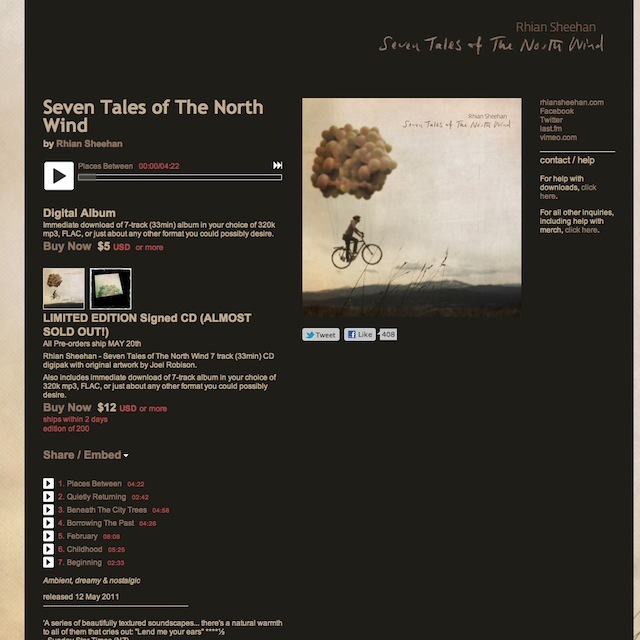 When I began listening to 'Seven Tales of the North Wind' I was instantly hooked... the soundscapes he presents are warm and inviting... on a par with Venona Pers. 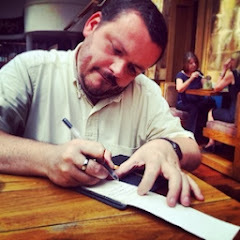 The album is predominately post-classical in arrangement... with a healthy dose of ambient electronic programming, field recordings and drones thrown in to create a breathtakingly beautiful, impressive and engaging audio experience... one reminiscent of "tras el horizonte" by EUS in that the soundscapes presented have the expansiveness of post-rock and the immersiveness of ambient. If you are a fan of Sigur Ros' more delicate moments then you will really get this album... as I have. It's grace and elegance is a welcome addition to my collection.